Online ordering is showing up at restaurants across the country and for good reason. People want convenience and restaurants want to increase revenue. It’s a winning combination. Restaurants with online ordering platforms gain significantly more revenue than those that don’t and patrons will typically select a restaurant that has online ordering over one that doesn’t. This convenience for customers and new revenue stream for restaurants comes at a cost. When using third party delivery services, the headache begins with trying to find the space for the multiple tablets and printers, dealing with multiple reports and not owning your customer data. 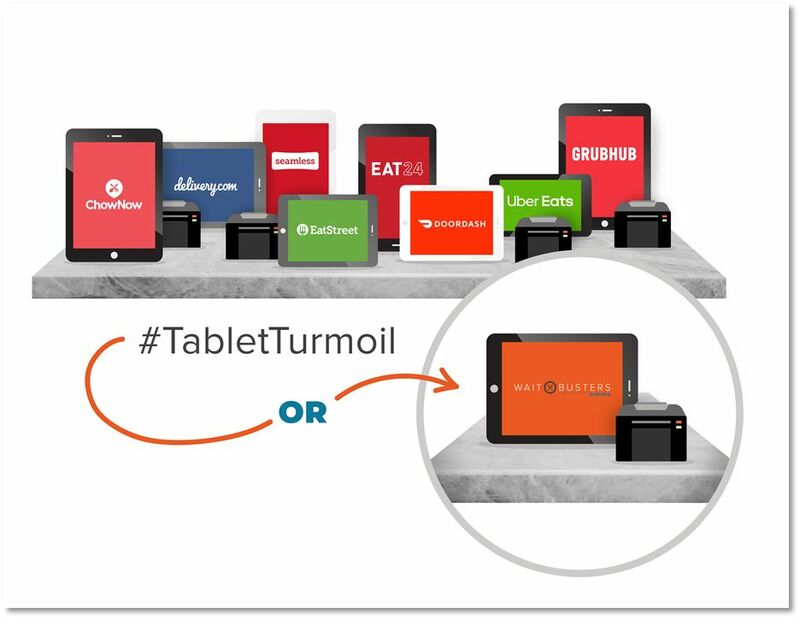 Waitbusters Digital Diner has the solution to your tablet turmoil by turning all of these third party delivery services into a one dashboard, one CRM system. In addition to online ordering and creating a comprehensive interface for 3rd party delivery services, Digital Diner offers wait line, reservation and table management, social media and SMS marketing and a loyalty program.